What does fleet management software do? Home › Advice › What does fleet management software do? Companies that operate vehicles need to manage their drivers and the vehicles, whether they are driven on the road or solely off-road, and whether they are owned by the company, leased or staff-owned (the ‘grey fleet‘). The software used for this is called fleet management software. You can use this list of features to check how well the systems you are considering stack up against one another. It’s important that drivers have a valid and current licence for the vehicle that they are driving. A company needs to know when a driver’s licence or licence endorsements expire, and if the driver has received demerit points or a suspension or disqualification. Driver management might also include reminders for eyesight and medical checks based on a pre-defined period or reaching a certain age. In some software, work-time can be managed. Some systems may suggest training or other interventions based on a driver’s history and driving performance. The number and type of vehicles will vary from company-to-company. Some companies will just have a few cars while others could have multiple different types of assets such as cars, trucks, vans, earth-moving machinery, forklift trucks, quad bikes/ATVs, trailers and more. There may also be features to manage the grey fleet, ensuring that a vehicle owned by a staff member is approved for use (i.e. registered and with a current WoF). Managing a large fleet means that there will always be RUC, WoF and CoF becoming due regularly. Scheduled maintenance may have to be performed to meet contractual obligations on lease vehicles, or to preserve warranties. While a heavy vehicle driver will tend to check their vehicle before every trip, car drivers rarely do, and therefore reminders for tyres and fluids are important. If a vehicle fails its warrant of fitness, the implications of this should be registered across the vehicle’s availability to staff, and other vehicles may need to be scheduled in its place. Receipts for vehicle expenses should be able to be loaded, and exported for use with accounting packages. Drivers occasionally will get speeding fines, toll notices, and other infringements. Fleet management software must be able to allocate these to the right driver and ensure they are resolved. Insurance across the entire vehicle fleet must be managed in relation to vehicle disposal, types of drivers, the level of risk, types of vehicles, the number of vehicles, and more. When a vehicle reaches the end of its time with a company, it must either be returned to the leasing company or disposed of if owned by the company itself. Vehicle disposal could require change-of-ownership forms. Depreciation will need to be calculated. Calculations for the total cost of ownership include maintenance, depreciation, fuel use and other metrics. A company should be able to ascertain whether it’s getting value for money from its fleet in its current configuration. Systems should be able to accept reports from fuel card suppliers and also calculate emission data. If a company has a vehicle pool (shared vehicles) then these must be able to be booked by staff, and bookings must not conflict with scheduled maintenance. If combined with GPS, the location of pool vehicles can be determined, and real-time updates can be made to the schedule. The fleet management software may even suggest carpooling in a vehicle that is heading in the general direction with another driver. Management of accident and emergency roadside support, plus invoicing and billing packages for assigning kilometers driven against a client account. Telematics uses GPS to track a vehicle’s movements. Depending on the system you could get updates every few seconds or few minutes. It’s not necessarily part of a fleet management system but does make one more useful. Routes can be planned to be as efficient as possible based on the time of day, type of deliveries and type of vehicle. A geofence is a virtual geographic boundary that is designated for a specific activity. Devices can be configured to respond in a certain way e.g. your depot could have a geofence, in which case you could assign all kilometres within the depot as being not eligible for RUC. 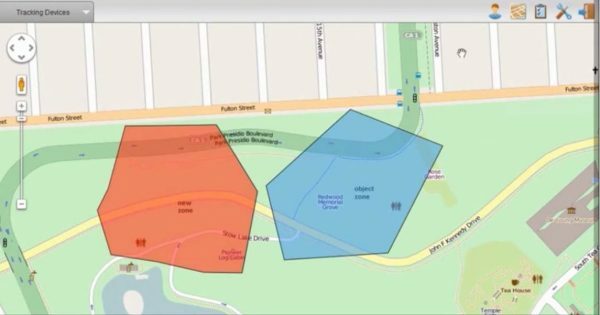 Geofencing can also be used to bill equipment operation time to clients. Alerts can be configured based on certain triggers such as excessive idling, entering or exiting a geofence, harsh driving, late start, sensor activation, speeding and more. The transport or fleet manager can monitor these, and (for some alerts) the driver may receive notification to an app on their phone or the unit in the vehicle. For example, notifications of harsh braking or excessive idling. Time spent driving can be automatically logged for a driver, and reminders for break times can be set so that the driver does not exceed work-time requirements. We cover how to fill out a logbook in this online course. Reports into driver activity and vehicle performance mean that poor-performing drivers can be identified easily. ‹ What is the grey fleet? What is the grey fleet?